Eagle Mountain is a city in Utah County, Utah, United States. It is part of the Provo–Orem, Utah Metropolitan Statistical Area. The city is located to the west as well as north of the Lake Mountains, which are west of Utah Lake. It was incorporated December 3, 1996 and has been rapidly growing ever since. The population was 21,415 at the 2010 census. Although Eagle Mountain was a town in 2000, it has since been classified as a fourth-class city by state law. In its short history, the city has quickly become known for its rapid growth. In 2011 Eagle Mountain extended further west with the annexation of the White Hills neighborhood, which had about 400 residents, as well as an area that is part of the Pole Canyon development plan. The land outside of White Hills was almost 2,900 acres. Eagle Mountain is located at the western and northern bases of the Lake Mountains in the flat Cedar Valley east, and northeast of the town of Cedar Fort. According to the United States Census Bureau, the city has a total area of 41.7 square miles (108.0 km2). SR-73, Eagle Mountain Boulevard, and Ranches Parkway provide access to the city from Salt Lake Valley, and Pioneer Crossing, Redwood Road, and Pony Express Parkway provide access to the city from Utah County although the city center sits at least 15 miles (24 km) from the two valleys' main transportation corridor along Interstate 15. The Utah Department of Transportation is in the process of building a western freeway for the Salt Lake Valley (the Mountain View Corridor), which will connect to SR-73 only a few miles from the city. The area is home to a number of natural landmarks, including a site along the original Pony Express trail and 1,800-year-old rock art petroglyphs carved by ancient Fremont Indians. As of the census of 2010, there were 21,415 people, 5,111 households, and 4,741 families residing in the town. The population density was 513.6 inhabitants per square mile (20.0/km²). There were 5,546 housing units at an average density of 133 per square mile. The racial makeup of the town was 91.9% White, 0.6% African American, 0.5% American Indian and Alaskan Native, 0.6% Asian, 0.6% Pacific Islander, 2.7% from other races, and 3.1% from two or more races. Hispanic or Latino of any race were 8.6% of the population. There were 5,111 households of which 72.9% had children under the age of 18 living with them, 84.7% were married couples living together, 5.6% had a female householder with no husband present, and 7.2% were non-families. 5.0% of all households were made up of individuals and 0.3% had someone living alone who was 65 years of age or older. The average household size was 4.19 and the average family size was 4.34. In the town the population was spread out with 49.5% under the age of 18, 4.6% from 20 to 24, 35.7% from 25 to 44, 8.0% from 45 to 64, and 1.8% who were 65 years of age or older. The median age was 20.3 years. According to the U.S. Census Bureau's 2007-2011 statistics, the median income for a household in the city was $64,676. The per capita income for the town was $17,814 (U.S. Census Bureau 2007-2011). About 7.6% of the population was below the poverty line. In 2015, Eagle Mountain was the 10th most conservative city in the United States as judged by political donations. The city lists four regional parks and about 35 local parks. Eagle Mountain City parks are identified on the city's Parks Finder Map. In 2009, Eagle Mountain opened the Mountain Ranch Bike Park. This park is the first of its kind on the Wasatch Front. It features a jump line, two slope style tracks, a single track network, and a skills area with a pump track and wood features. On January 20, 2015 the city council approved budget for expanding Cory Wride Memorial park. Eagle Mountain City has a six-member Traditional Council form of government. The Mayor is a non-voting member of the Council except in the situation of a tie vote. The mayor acts as an elected executive with the city council functioning with legislative powers. Eagle Mountain by ordinance offers candidates for mayor the option of declaring candidacy as primary source of income at $70,000 per year or secondary source of income at $27,700. The mayor may select a chief administrative officer to oversee the different departments. The current mayor is Tom Westmoreland who took office in January 2018. Eagle Mountain City has seen a voting history from 3% (2014) of registered voter to 95% (1997) of registered voters participating in an election over the course of its incorporation. Eagle Mountain is located in the Alpine School District and currently has six elementary schools (Eagle Valley, Hidden Hollow, Mountain Trails, Pony Express, Blackridge and Brookhaven). Frontier Middle School serves students in grades 7-9 except for those in the Silverlake area who attend Vista Heights Middle School in Saratoga Springs. High school students attend Westlake High School in nearby Saratoga Springs. A high school in Eagle Mountain, Cedar Valley High School, is planned to open in 2019. Samuel Jarman is the Superintendent of Schools. The city also has two public charter schools (The Ranches Academy, grades K-6 and Rockwell Charter High School, grades 7-12). The three major roads running into Eagle Mountain are Utah State Route 73, which runs through the northern part of the city and along its western edge into Cedar Fort, Eagle Mountain Blvd which goes straight to city center, and Pony Express Pkwy, which was extended east to Redwood road in Saratoga Springs in 2010. This was done to facilitate access with the rest of Utah County via connection with Pioneer Crossing, the east-west connector from Redwood Road to I-15. In 2008, the Utah Transit Authority (UTA) began service on an express bus route (#806) into Eagle Mountain. It is the first UTA bus to service the city. ^ "Utah forms of government" (PDF). Retrieved 2016-09-01. ^ "Archived copy". Archived from the original on 2014-03-05. Retrieved 2012-02-25. CS1 maint: Archived copy as title (link) 2010 Census Information. Accessed November 9, 2011. ^ §10-2-301[permanent dead link] of the Utah Code, last amended in 2003. Accessed 2008-06-14. ^ "Eagle Mountain elementary schools bursting - help may be on the way". Salt Lake Tribune. Retrieved 2007-09-23. ^ "City votes to double size of new sewer". Salt Lake Tribune. Retrieved 2007-09-23. ^ "MountainView Corridor". Utah Department of Transportation. Retrieved 2006-08-13. ^ "Dedication of Pony Express Trail Monument" (PDF). Eagle Mountain City. Archived from the original (PDF) on 2008-01-07. Retrieved 2007-09-23. ^ "Eagle Mountain Hopes to Protect Rock Art". KSL. Retrieved 2010-07-06. ^ Phillips, Amber (2015-12-14). "The 10 most liberal and conservative cities in the U.S. — as judged by campaign donors". The Washington Post. ISSN 0190-8286. Retrieved 2016-04-03. ^ "Eagle Mountain City : Parks". eaglemountaincity.org. Retrieved 2016-04-03. ^ "Eagle Mountain City : Mountain Ranch Bike Park". eaglemountaincity.org. Retrieved 2016-04-03. ^ "Cory Wride Memorial Park". i84005.com. Retrieved 2016-04-03. ^ "Eagle Mountain City Code". www.codepublishing.com. Retrieved 2016-09-01. ^ "Eagle Mountain City : Mayor". www.eaglemountaincity.org. Retrieved 2016-05-23. ^ "Eagle Mountain Voting History". i84005.com. Retrieved 2018-01-22. ^ "Administration". Alpine School District. Retrieved 2012-06-16. ^  Eagle Mountain City, Pony Express Parkway Road Extension Now Open. Accessed 2010-07-19. ^  KSL, Eagle Mountain's Pony Express Pkwy to be extended to Redwood Rd Accessed 2010-07-19. 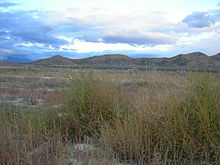 Wikimedia Commons has media related to Eagle Mountain, Utah. This page was last edited on 6 April 2019, at 03:33 (UTC).